A few years ago, I was at a biotechnology trade meeting listening to a panel on GMOs. Throughout the two-hour session, the panelists all sang the praises of the technology—not too surprising at an industry event. At the time, the GMOs under commercial planting were limited to seeds genetically engineered to produce an insecticide and/or resist a proprietary herbicide. What was unexpected was what came next: One of the speakers took the mic to say those opposed to GMOs should be tried for crimes against humanity. Seriously. Sure, the comment may have been a gross misuse of the term, but a similar sentiment runs throughout the messaging from the biotech industry that says we can’t feed the world if we don’t embrace the technology. If my experience last month in Turkey is any indication, the notion that GMOs are the only way to feed a growing population is way out of step with both the leading thinkers on food and farming and the world’s smallholder farmers—who produce much of what the planet eats and 80 percent of the food in Asia and sub-Saharan Africa. These farmers may not have money on their side, but I saw the power of strength in numbers at the Organic World Congress. Held this year in Istanbul, the conference brought together people from 81 countries to discuss the latest research from organic farm fields and share private and public developments that promote organic agriculture. What I heard should have biotech execs shaking in their boots, or their penny loafers, as the case may be: Organic agriculture is taking off around the world, especially where it’s needed most. About 80 percent of all organic producers are based in developing countries, with India, Uganda, Mexico, and Tanzania leading the charge. To date, 162 nations are now home to certified organic farms, and in 2012 the 37.5 million hectares of farmland produced a harvest worth $63.8 billion. While that works out to less than 1 percent of global agricultural land, the figure dramatically undercounts the actual amount of land farmed using organic principles, as many farmers are not part of a official certification program. And consider that globally, organic agriculture has received a fraction of the subsidies and 0.4 percent of the research dollars funneled into chemical farming ventures. One of the themes of the three-day gathering in October was that embracing these practices is increasingly being seen as key to food security, from national departments of agriculture all the way to the halls of the Food and Agriculture Organization of the United Nations. Several speakers quoted José Graziano da Silva, the head of the FAO, who said, “We cannot rely on an input-intensive model to increase production—the solutions of the past have shown their limits,” at a recent international summit. Research, including studies presented at the conference in Istanbul, is showing that organic agriculture can deliver reliably high yields—and that organic fields thrive in the face of disaster and duress, where chemical-reliant crops falter. Organic fields, for example, fare significantly better than chemically managed ones in the face of extreme weather, such as droughts or floods. A 30-year study from the Rodale Institute, for example, found that organic farm fields yielded 33 percent more in drought years compared with chemically managed ones. 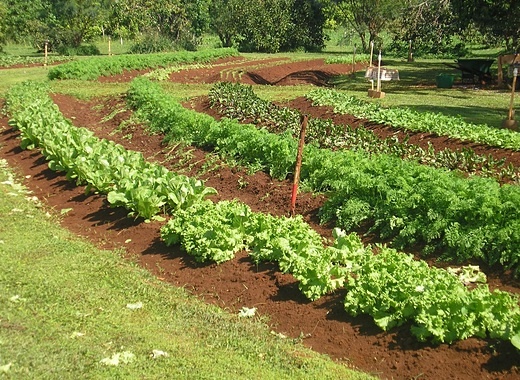 Organic agriculture can also reduce on-farm energy use and decrease greenhouse gas emissions. One comparative study in Slovakia found that chemical farming systems were more than 50 percent more “energy demanding” than the organic systems. Read the full story via Yes, Organic Farming Can Feed the World – Yahoo News.